Ubiquinol (a highly absorbable form of CoQ10) is a potent antioxidant that helps protect against cell damage caused by free radicals in many places in the body, including the ovaries and eggs. Ubiquinol is more than a simple antioxidant though. It’s a cell revitalizer that increases mitochondrial energy. Through this activity, ubiquinol helps cells to divide normally, important for normal follicle development and pregnancy progression. While the body naturally produces ubiquinol, its functions decrease as the body ages and this can affect fertility. For instance, we see incidents of Premature Ovarian Failure (POF) in animals with low ubiquinol levels. Still, there is good news if you’re concerned! Research from 2015 published in Anatomical Society looked at the supplementation of ubiquinol for female fertility and egg health, and the results were promising. In the study, 15 weeks of supplementation was found to help restore ubiquinol expression, egg quality, fertility, and fertilization rates in aging lab animals. In another study published in Fertility and Sterility, supplementation of 600 mg of ubiquinol daily by older women undergoing medical fertility treatments improved both egg quality and fertilization rates. Today, many progressive fertility clinics now recommend ubiquinol supplementation as part of IVF preparation. 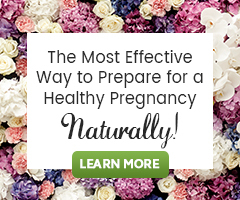 We also use it to support women who want to conceive naturally. More good news: Men benefit from ubiquinol, too. Ubiquinol has been found to increase sperm motility! For general fertility support, consider 100 mg daily, combined with other antioxidants. If you are 35 or older and suspect you may have low levels, consider 200-300 mg per day for two weeks. After two weeks, the levels naturally plateau and your dosage can be lowered to 100 mg per day, combined with other antioxidants. Higher doses of ubiquinol are sometimes used, but if you choose to explore this option, be sure to talk with your doctor first. You can increase the activity and effectiveness of other antioxidants for egg health by combining them with ubiquinol. Ubiquinol works to regenerate depleted vitamin C and vitamin E in the body. This allows these antioxidants to be continually utilized by the body, helping to neutralize more free radicals and protect cell DNA. For the best results for fertility, using ubiquinol along with a targeted antioxidant blend is highly recommended. Bonus: Most people have more energy when they take a combination of antioxidants and experience other benefits too. Antioxidants support healthy heart function, balanced blood pressure, and joint health, just to name a few. As you work to build your fertility program, don’t forget the importance of antioxidants for egg health (or for your husband/partner too). We all face free radical activity in our lives. Much of it comes from our lifestyle choices, diet, and the environment. Still, some free radical activity is a normal consequence of daily living. We can take a measure of control over our fertility health by eating an antioxidant-rich Fertility Diet and using supplements like FertilicaTM CoQ10 Ubiquinol and Choice Antioxidants.